Permanent makeup, like any other tattoo, is applied using a hollow needle that penetrates only the top layer of the skin. Various machines are used with an array of needles to attain the look of natural hairs. 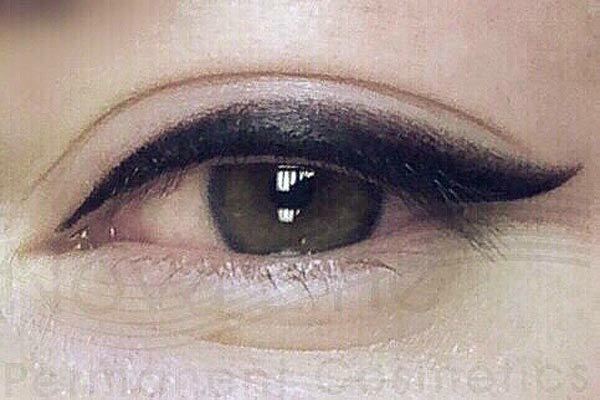 Though the technique is similar to tattooing, the ink differs, with a more gentle formula that is better suited for the sensitive areas permanent makeup is usually applied: eyebrows, lips, and eyelids. A trained professional will have spent hours upon hours learning the proper techniques of permanent makeup, as well as the science behind it: face shape, colour, bone structure, and so on. Expert permanent makeup artists can assist you in choosing the right style for you, as well as which technique will look best with your features, and what colour will look the most natural. Before you schedule an appointment, do your research to find highly recommended artists in your area with great consistency customer reviews, and take your time to ensure you find the right artist that you will be comfortable with and confident in. When you schedule the appointment, they usually require a consultation appointment to see you and discuss further about what you hope to achieve from the procedure. This is sometimes done days before the procedure or right before, depending on the artist. If you already have an idea of what you want your permanent makeup to look like, it is best to draw it on before your appointment so your artist has a clear idea of what you're looking for. If not, you can bring examples of styles and colors to show your artist, who can then make suggestions for you. Once the makeup is drawn on exactly how you want it, you and your artist will select and mix the exact colour. A numbing cream will be applied to the area to make the procedure more comfortable. 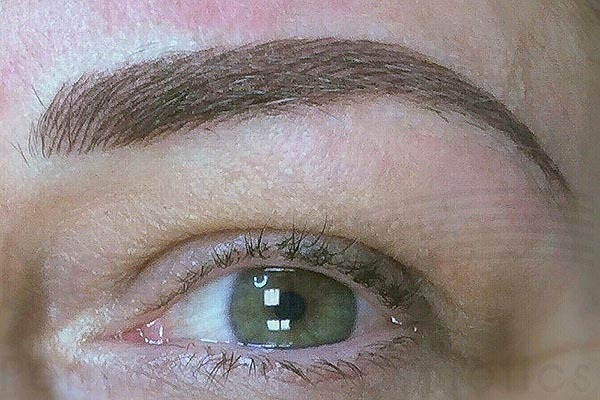 The artist will then apply the permanent makeup with the nano needle mentioned above in the previously agreed upon technique, making careful, delicate strokes following the shape outline drawn at the beginning of the appointment. These reference lines ensure your artist creates the shape you want with a natural tapering look. One or multiple colours may be used to create dimension and fullness. Depending on the size of the area, colour, and desired look, the entire appointment can take 2 or more hours. When your artist is finished, they will wipe the area clean. The colour will likely be significantly darker than what you selected, but not to worry, as the excess ink will fade away over the next couple weeks. 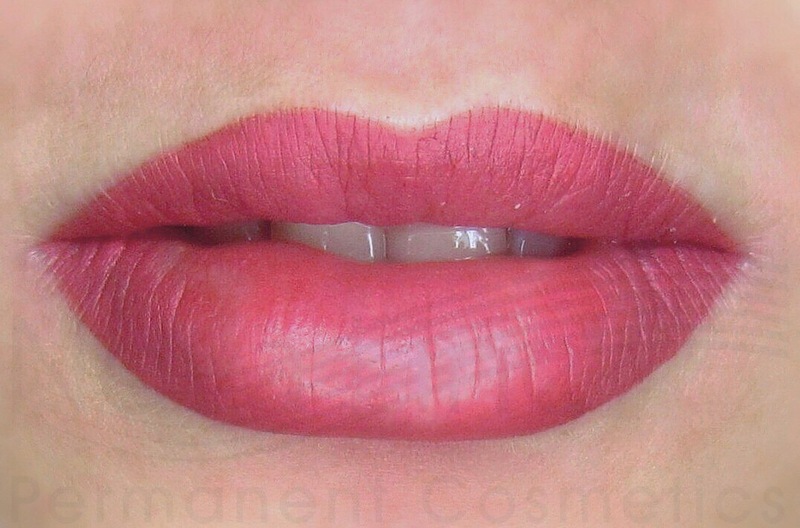 Most permanent makeup tattoos, such as permanent eyebrow tattoos, lip liner, etc. usually take 2-3 weeks to heal. Usually you will return to your artist for a follow up appointment a month later to make sure you are happy with the results. Minor colour and re-shaping may be necessary at this visit. Though permanent makeup never completely goes away, touch up appointments every 1-3 years may be needed to maintain the look that you desire. For additional information about permanent make up procedures, feel free to check out our FAQ page or give us a call at (647) 883-6251.